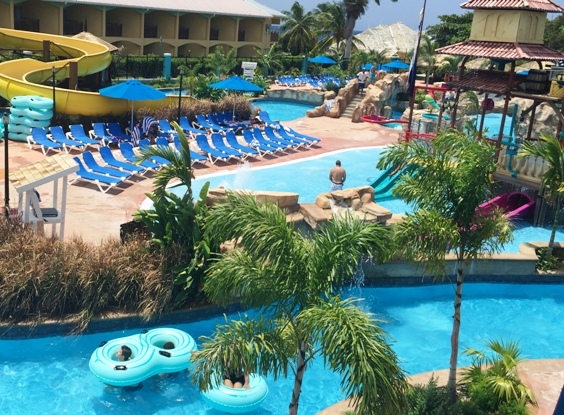 Experience all-inclusive luxury combined with non-stop water adventure at one of the largest water park in the Caribbean. 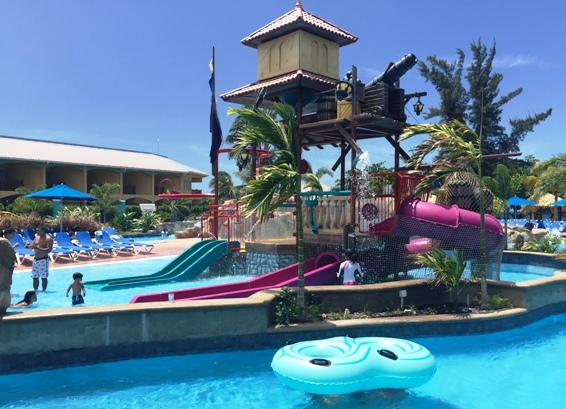 The Jewel Runaway Bay Beach Resort Day Pass experience will definitely exceed your expectation. Located just 30 minutes from the Falmouth ship port, surrounded by acres of lush landscaping, pristine beaches and crystal-clear waters. The Jewel Runaway Beach Resort boost 3 pools and outdoor whirlpools with comfortable lounge chairs, cocktail tables, umbrellas, swim-up bar and pool concierge service. 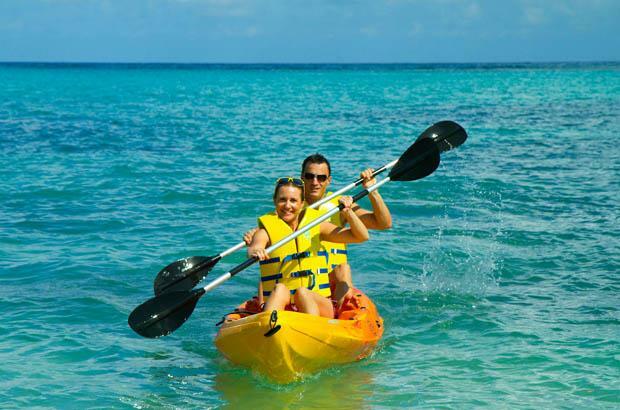 Take a dip in the Caribbean Sea and enjoy a series of water activities, such as glass bottom boat ride, Hobie Cat catamaran sailing, windsurfing, kayaking or simply lay out on the lounge and absorb the ocean views. 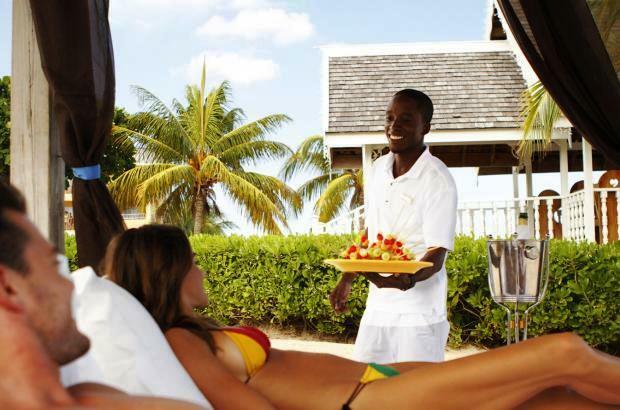 Enjoy skewers of fresh fruit, misting of cool fragrant-infused water, ice-cold face towels. 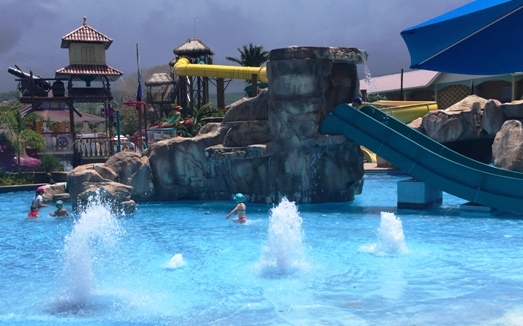 Fuel up the fun with full access to Jewel Lagoon Water Park. 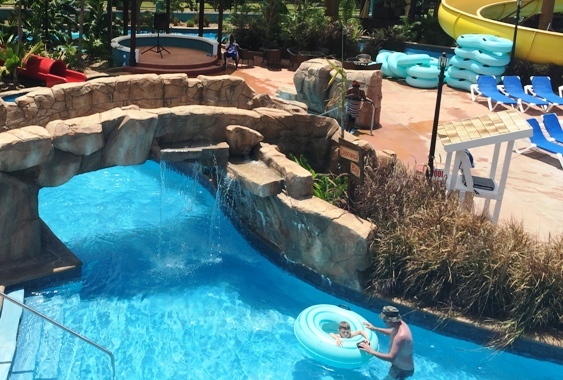 Choose from Lazy river with rock grottos and waterfalls, Speed slide & family raft ride or move to the beats of the live music on the 5,000 square foot oceanfront sundeck. 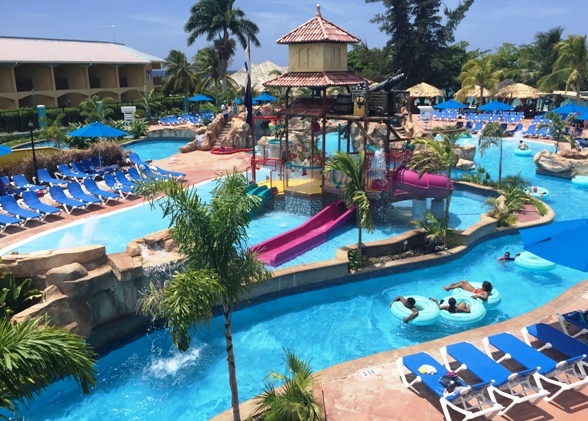 There is never a dull moment at the all-inclusive Jewel Runaway Bay Beach Resort and Water Park. 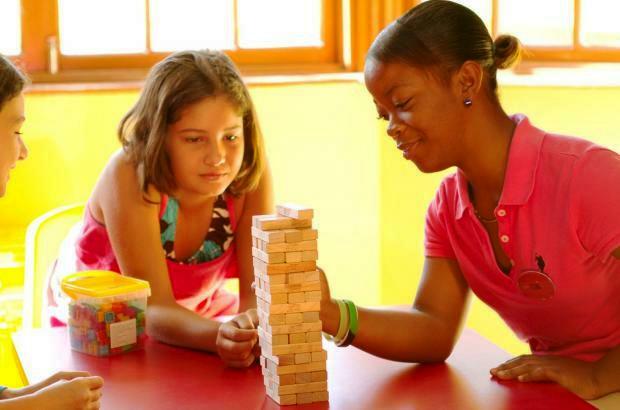 Limited resort space! Book now to guarantee availability! My girls and I had an absolutely wonderful day at Jewel Runaway Bay. To be honest I was a little concerned to be getting off our cruise ship alone with my 3 little girls..I have always heard Jamaica was dangerous. I also chose to book with Jaital instead of going through the cruise ship planned excursions. Even though I read wonderful reviews about Jaital I was still a little nervous. I was wrong-man, was I wrong!! From the second we got off the ship we were treated wonderfully! I knew we were safe with Jaital. Our bus driver was so kind and he even made the 45 minute drive to Runaway Bay enjoyable! Once we arrived they helped us get admitted in the resort and make sure we were happy. Jewel also had wonderful and kind people to ensure that we were good. We had an absolutely fantastic time! I was also concerned that because Jaital doesn't work directly with the cruise ship that they might not be as punctual at getting us back before the ship departed. Wrong again! The bus driver picked us up early and we even had time to do a little shopping before we got back on the boat. I strongly recommend this company and this resort! You will definitely not regret. Thanks again for everything! We will be returning next spring break and will schedule with you again. We had a fantastic time, pick-up at the port was great, although a bit difficult to find, but despite early arrival of the ship, the time remained 45 minutes after arrival, giving us extra time at the resort! The resort was great, the kids and adults loved it! Would certainly use your company again, in a future trip! 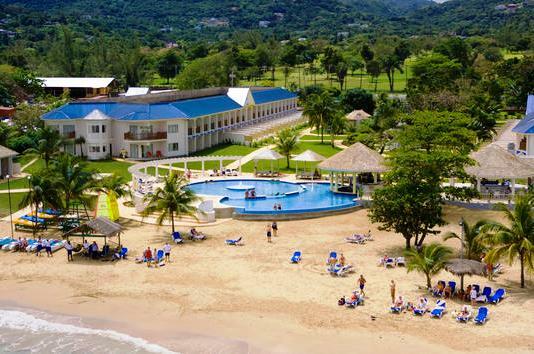 Our recent trip to Jamaica was wonderful thanks to the Jaital team. 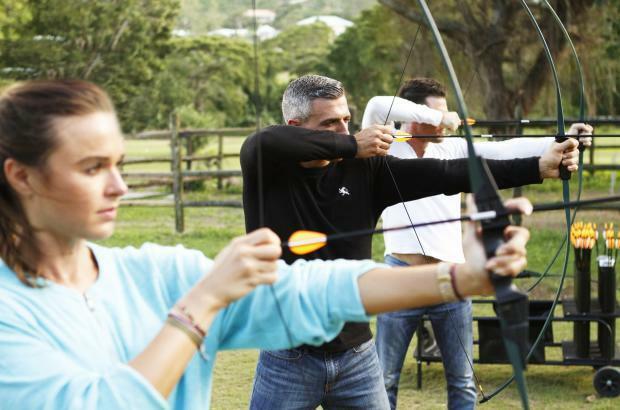 We have booked excursions through Jaital on three separate occasions, and have enjoyed every experience. The Jewel Runaway Bay is a beautiful resort. We had a great time. Our driver was very friendly and informative while driving us safely to the resort. 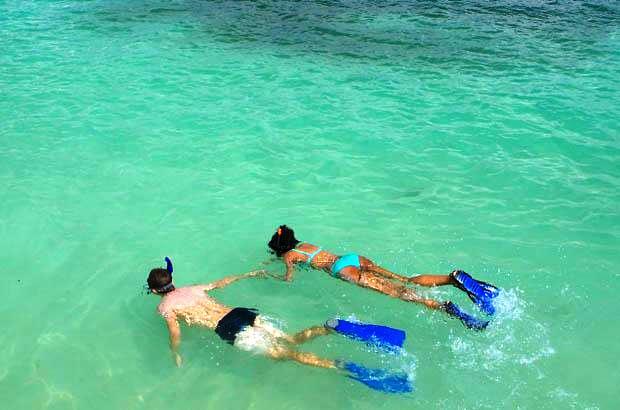 We definitely will book excursions again with Jaital on future visits to Jamaica. Just wanted to say that everything was great with the booking of the excursion. The driver was great and did not have to wait very long. We would definitely use Jaital again for future bookings. Thank you for the experience on your beautiful island of Jamaica! Our day pass at the Jewel Runaway Resort was very nice. Your shuttle bus driver was awesome!! He was very personable and informative pointing out landmarks and explaining some of Jamaica's history. It was a little confusing and chaotic when we first disembarked off of the ship. We had no idea where to go to meet up with the shuttle driver. Once we finally found the Jaital rally point, there was much confusion as to which people were going with which driver. Overall, it was great!! Hope to see you again soon! It was great!!! The driver was very very nice! He arrivred just on time to take us back to the ship. One thing, the ship arrived earlier ti Jamaica and we waited for the driver (not his fault someone was sick), we waited for 20 mins. You could have send us sms or by mail and we would have arrive later, and not waiting without any sitting place under the sun. But really- it was a great experience! And the driver that finally took us was wonderful!!! 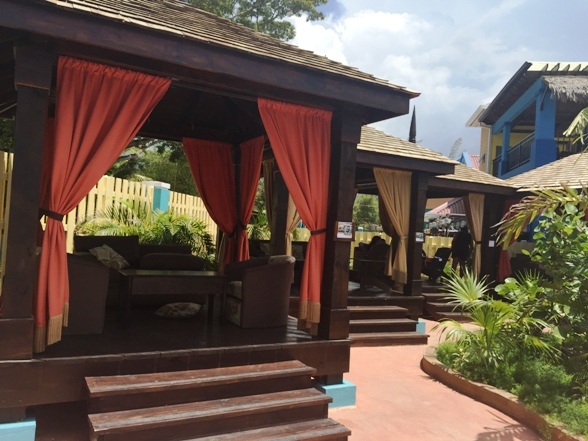 Our Jaital independent shore excursion to Jewel Runaway Bay could not have been better. My wife, daughter 15, son 12, son 10, daughter 6, and myself all had a very enjoyable time. I had never booked a non-cruise organized shore excursion before, so I was a little bit nervous. But, after reading previous reviews, and seeing the much more reasonable price vs the cruise line booking price, I decided to pull the trigger. We disembarked the Liberty of the Seas and asked one of the Falmouth port employees where to go for “Independent Shore Excursions” and were pointed in the right direction, just a short distance away. Our Jaital driver Bradford was waiting with a nice vehicle, and we were off to Jewel Runaway Bay. During the drive Bradford educated us about some local history, customs, economics, and sports which was very interesting. After arriving at Jewel, Bradford gave us a pickup time which he assured us would get us back to the ship on time as well as allow some time for shopping. 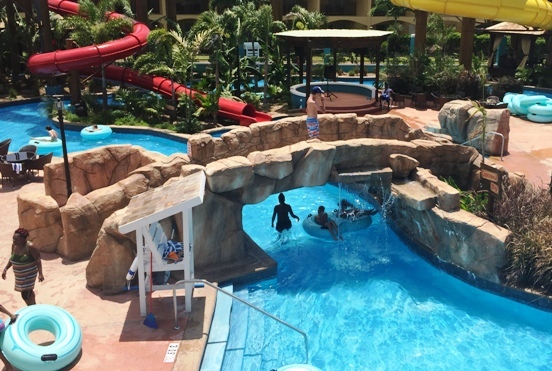 I had selected the Jewel Runaway Bay excursion as it offered a nice beach, snorkeling, water sports, lunch buffet, and waterpark.....a little something for everyone. Jewel Runaway Bay did not disappoint. The beach was beautiful with nice soft sand.....no rocks, pebbles, or seaweed. The snorkeling was just “OK”, but did give the kids some experiences with sea life such as varieties of fish, starfish, and some corals. For watersports, the kids and I enjoyed kayaking in the ocean which was included in the price (just tip the guys assisting by the beach). 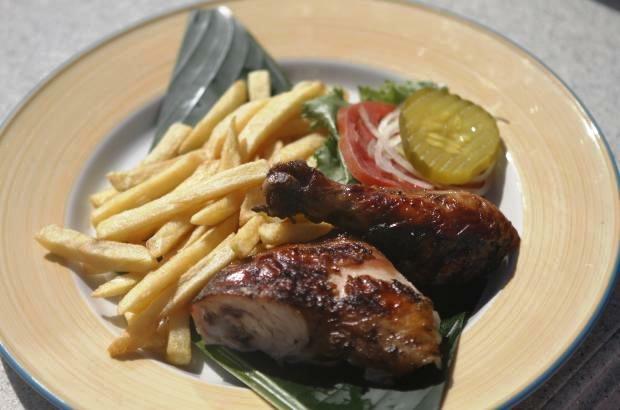 The lunch buffet was Jamaican style and of good quality. The waterpark was small by US standards of course, but had a couple of good slides and the kids had a wonderful time. When it was time to leave, we walked to the resort entrance and met Bradford at the pre-arranged time. Bradford drove us back to Falmouth and got us there with plenty of time for my 2 daughters to get their hair braided before boarding the ship. I would not hesitate to recommend this independent shore excursion. If you are “nervous” about booking a non-cruise line excursion, don’t sweat it with this Jaital excursion. We had an amazing trip! The driver was wonderful and prompt in picking us up at the time we wanted to return to the ship. 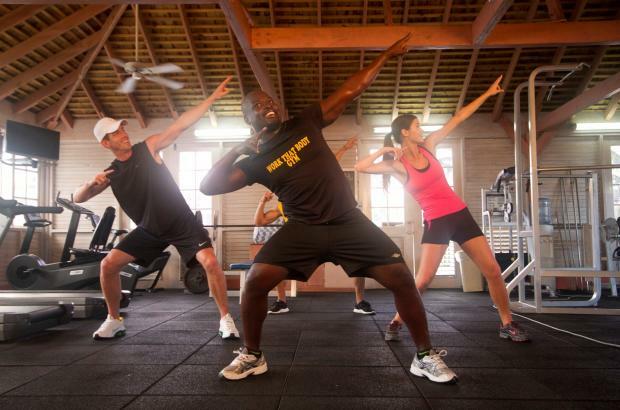 The facility was great and exactly as advertised. And the website was easy to use, and every time I had a question it was answered quickly. We would definitely use you again. We thoroughly enjoyed our day at Jewel Runaway Bay and the driver was pleasant and on time for pick up at the end of the day. The experience was great and the Driver/tour guide was excellent! I would recommend your company any time! Our excursion to Jewel Runaway was an exciting and fun-filled day. We spent time on a beautiful beach with a reef full of marine life just feet off shore. We also had the opportunity to enjoy the water park and go sailing. The food was fantastic and everyone there went out of their way to welcome us. We booked this excursion online and highly recommend it for anyone arriving on a cruise. It was a 45 minute ride from Falmouth and returned in time to shop. It doesn't get much better. Thank you and can't wait to come back! It was perfect. A highlight of our trip. It was extra nice and unexpected to have a private driver for the day, as we needed to also stop at a pharmacy that day and the driver found a good one for us to stop at on the way back. We only wish our ship had been in port longer, so there is nothing you can do about that. We checked the hours at port and your accurate information advising it was about a 40 minute drive to the resort, but we still felt it was well worth the 4-5 hours we had there and it was nice to have a private drive along the coast we had not seen. We were very happy with the whole experience. Good service and professional drivers. We enjoyed our trip and we would like to go back to you in the future. What a wonderful experience. Have told my friends all about the Jewel. 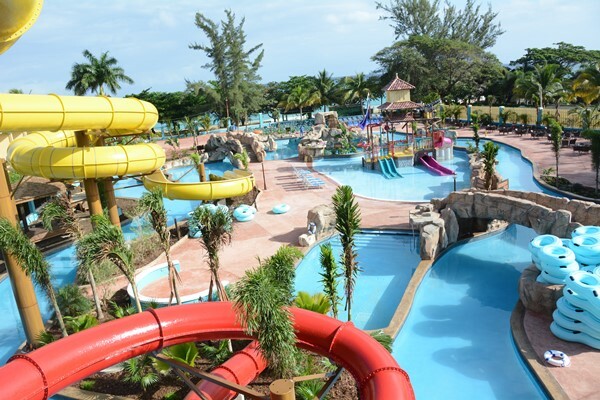 We had booked a one day pass to Jewel Runaway Bay for 2 adults and a 2 year old through Jaital. The instructions on where to meet and at what time to meet after disembarking were accurate. We probably had about a 15-25 minute wait just to gather the other travelers before loading up on the van to go to the hotel. Our driver was Peter and was a safe and professional driver. Our trip took about 30 - 45 minutes to Runaway Bay from Falmouth depending on traffic. Peter shared his love and knowledge of Jamaica on the ride to and from the RCI cruise ship. He told us about Jamaica's history, culture, and fun facts. Once we arrived at Jewel Runaway Bay, the hotel staff checked us in for the day, settled up, and gave us a tour of the facilities. The hotel admissions staff, waiters, and lifeguards were courteous and friendly. If you have children, make sure you adhere to the rules as the lifeguards are strict. The hotel provided us with towels, and we had no problems finding food to eat or drink. The beach was clean and no sales people around. The bay was easy enough for my two year old to get in and out of. There is a coral reef near by that we weren't allowed to explore because of its shallowness but it was still a very pleasant area to be at. We had a great time on the lazy river and the waterpark. The facilities were very clean and the restrooms had showers and a baby changing table. My son took a nap on the ride back so that let me know he had a blast. We definitely recommend and plan to revisit, plus they have free Wi-Fi that worked. Everything was very enjoyable and it's a beautiful place. My friends and I had a WONDERFUL time. The staff was fantastic. I have no complaints about anything. 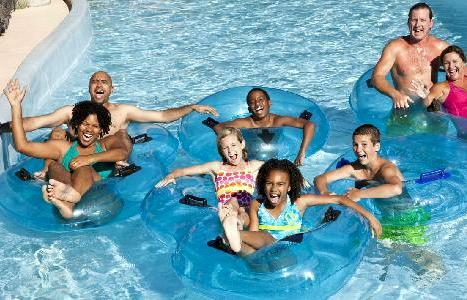 Our Jewel Runaway Bay Day Pass & Water Park excursion on June 20 went very well, my entire family loved it! 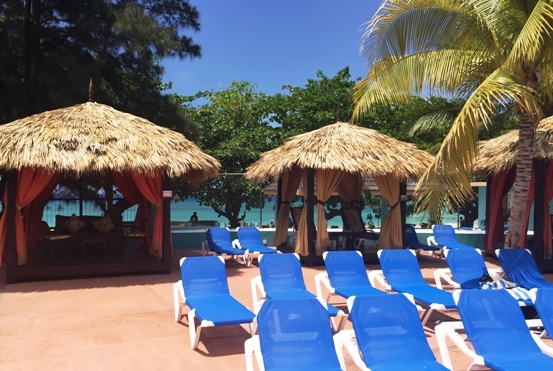 The resort is truly all-inclusive and we loved just lazing on the beach and poolside. We enjoyed our trip! Jewel Runaway Bay was beautiful, not over crowded, good food, clean facility. We had a wonderful time at the Jewel Runaway bay. The online booking was easy and the emailed instructions and followup confirmation easy to understand. Our experience on this excursion was terrific. We found the driver meeting point easily after disembarking, though waiting on another group for the bus drive was frustrating as they were about 30 minutes late. The driver was courteous and safe and informative. The bus was comfortable and air conditioned nicely. Once on site, the driver clearly let us know when to be ready to leave later that day. 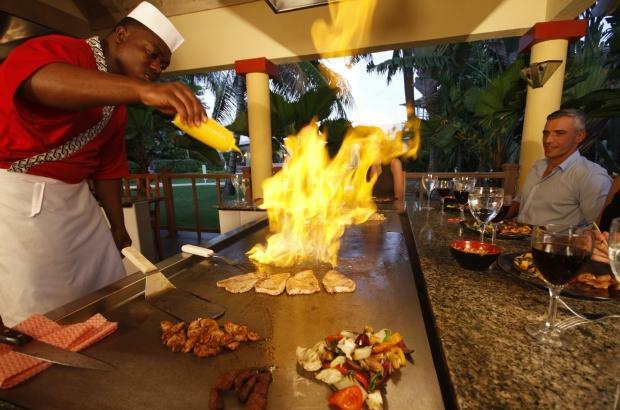 The resort was absolutely perfect- good food and drinks, beautiful beaches, terrific cabanas for rent at nice rates,excellent water park and water activities, plus exceptionally good customer service, excellent layout and facilities with truly everything you needed. The return trip to the port was perfect. All in all, you had an excellent product and we were 100% satisfied and will recommend you highly to friends and use your services again if traveling the caribbean. We had an awesome time at the resort! Everyone was so nice, the food was great (and LOTS of it) drinks were fantastic and kids loved the water park! We have no complaints whatsoever! Our driver was very knowledgeable and picked us up when he said he would to get us back to the ship on time. We will definitely be using you again!! The excursion and driver were absolutely amazing! I will highly recommend your company and look forward to booking with you again. I can honestly say there is nothing to improve it was the highlight of our trip. My recent experience at Jewel Runaway Bay resort was fabulous from the moment we met up with our driver Vernon. He was very friendly and professional. The staff at Jewel Bay was very friendly and upon our arrival they expedited our group right through and we were enjoying the resort in no time. The food and drinks were excellent and the water park was so much fun. The resort was majestic and a lovely excursion for our group. Everything was great it was a very good day for us at the resort, I will pass this on to people who I know that will be coming your way. I absolutely loved the jewel resort. My two kids really enjoyed the water park. Nice resort. Food and service was wonderful. Bus was on time.